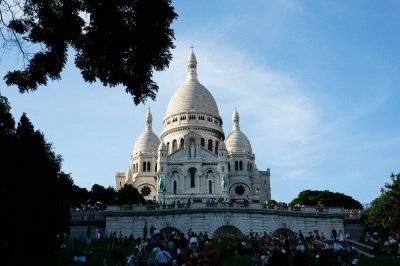 City Connect » Culture & Lifestyle » Paris – Just a Eurostar Away! Paris – a name associated with culture, art, the opera, the bourgeoisie and foremost a world-class cuisine. The French capital invites not only with an incredible charm, but also with an interesting mixture of old and modern architecture. Many artists flock to Paris in the summer to paint the beautiful scenery. Various churches and cathedrals offer musical highlights throughout the year and thousands of little bars and restaurants offer some of the best culinary delights of the world. Many of us have always dreamt about a weekend away in the French capital but never really managed to do it. But it could not be easier! It is only a hop on the Eurostar away! Trains run frequently from London St. Pancras and can be booked easily on the Eurostar website. Getting from Cambridge to St. Pancras is very convenient and takes only an hour. Trains go directly from Cambridge to London Kings Cross, which is right next to St. Pancras station in the heart of London. The train journey to Paris is only about 2.5 hours from London and trains arrive at Gare du Nord right in the centre of the French metropolis! Staying in Paris can be very affordable and great deals can be found on booking.com. Whether you go for a cultural trip, for a romantic weekend away with your loved one or a culinary experience, Paris has something to offer for everyone. In fact, eating out in the French capital is generally cheaper than in London and the atmosphere in many restaurants and bars is outstanding. Make your dreams come true and go to Paris for a weekend. It is a fantastic travel experience and very convenient from the South of England. 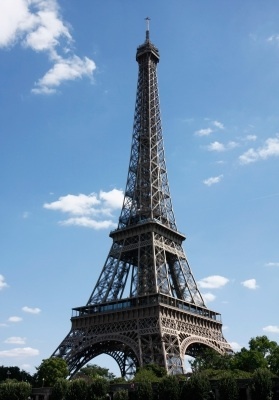 The Eiffel tower: A must when you are in Paris! If you go the weekend make sure you get there early in the morning, otherwise the queues are horrendous. Sacre Coeur de Paris: A beautiful church in the world famous district of Montmartre. Many artists exhibit their paintings and drawings on the streets. Boat tour on the Seine: A highlight. Tours are in various languages and you get to see the main sites of Paris. Tours take roughly an hour and a half. Le Louvre: One of the biggest museums in the world housing the world famous “Mona Lisa”. Musée d’Orsay: Full of beautiful impressionist art. One of my favourites! La Durée: A world-class pâtisserie famous for macaroons and outstanding cakes! Notre-Dame de Paris: The world famous cathedral, which we all know from of the stories of Nostradamus. Go to Paris. Book a ticket today and do something special for a weekend. You won’t regret it. Tagged city, travel, weekend. Bookmark the permalink.